This week, Vonnie is hosting Monday Manna, so be sure to pop over to My Back Door and read the other entries, and link up if you want to participate. And we're also discussing this post at Living By Grace today. Would love to have you join the discussion there! To my kids (for the most part, anyway), I'm pretty smart. I seem to be getting less so in their eyes the older they get (and I'm sure this will continue well into adolescence), but for now anyway, they still expect me (and my husband, of course) to know most, if not all, of the answers. five minutes after you buy the replacement. Sometimes, I wish I had all the answers - especially when my kids are asking the questions. There's something about not being able to give your kids the knowledge they ask for that makes me feel inadequate and incapable. I mean, I'm the PARENT! I'm supposed to have all the answers - right? I'm supposed to understand. But I can be reassured - and I can reassure them - that even if none of us know the answers, there is Someone who does. I may not know how to go to where light or darkness live, or how to bring rain to a parched land, but I know Who does. And I, and my children, can depend on the all-knowing God, no matter how much we don't understand. Because He knows all. Thanks for reading! 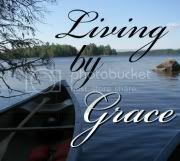 Be sure to stop by Vonnie's blog for more Monday Manna - and come to Living by Grace for a discussion. Smile... good angle on this verse! Knowing we don't have to have all the answers is relieving. AMEN!!! Sometimes, I think we gain more respect by our children and others when we simply say, "I don't know." than when we try to fake an answer. Thanks for the reminder that when I have no clue, Someone does! Oh, and what a great way to point our children's questions to Jesus! And I do wonder if sometimes we are too quick to try to provide answers and thus create an expectation for them when some things may never be answered this side of heaven. It's humbling to admit we don't have all the answers for ourselves (or our children) but God gives us grace in the not knowing. If we can't admit our inadequacy, it makes it even harder to rely on Him. Thanks for sharing! amen! something i've been struggling with to is not knowing the answers but remembering thatGod knows the whys!